You may have seen my post a few weeks back about some products I've recently bought from The Body Shop, the post is here if you missed it and fancy a little looksie. In that post I told you that I'd recently had a £15 TBS gift card to spend. I popped in store for a little wander round to see what I fancied and I decided I'd like to try out either their new Camomile silky cleansing oil or the Camomile Sumptuous cleansing butter. They had an offer of buy one skincare product get one half price, but I didn't want to get both cleansers at the same time so I went for the oil one and also bought the new Vitamin E Serum-in-oil (review on that one to follow). With the offer that meant both products together were £17. I then used my Love your body card for 10% off taking this down to £15.30 and obviously my £15 gift card made it just 30p for me to actually pay. What a bargain! Checking the ingredients for this (which I always do to make sure a product I'm buying doesn't contain Lavender oil) I was surprised to find that I couldn't see Camomile oil in the ingredients list. A quick Google search revealed that there are two types of Camomile, Roman and German, and that the Roman one is scientifically known as Anthemis Nobilis. This is listed in the ingredients, although it's second to last out of 17 ingredients, which I believe means there is actually very little Camomile in there. I'm no skincare expert, so I'm not sure how much of an essential oil needs to be in a product for it to actually have any effect, but as you'll see from my review I really don't mind as I love this product. I just think it's slightly misleading calling it a Camomile cleanser if there's very little Camomile actually in there. As well as Camomile this also contains Soybean, Sweet almond, Sunflower seed and Sesame seed oil, all of which are there in larger quantities than the Camomile oil. This comes in a pump bottle which is definitely handy as this is a very runny oil that will slip straight through your fingers if you're not careful. Although this does have a lock mechanism on the pump I wouldn't recommend travelling with this one unless you can keep it upright as I've found the oil does leak out around the pump if on it's side, which can obviously get messy. In fact I think mine does leak a little all the time as I keep having to wipe around the base of the pump, but it might just be my one or it might be because the oil is so thin and slippy it creeps out around the pump. Also the pump does shoot the product out quite far, not drop it down into your hand, so be ready to catch it. I haven't actually used a cleansing oil for removing my makeup before, in the past I've been a micellar water kind of girl (as part of a double cleanse), but I've used this both to remove my makeup and as my second cleanse product and I love using it both ways. I may now actually be a cleansing oil to remove my makeup kind of girl, although most likely I'll chop and change depending on my mood and convenience. I use a couple of pumps and relax as I massage this over my whole face, including my eyes. Seriously I think I could just carry on massaging this in all evening! This melts off all of your makeup in seconds with minimal effort and that includes stubborn mascaras. I've been using a Lancome Hypnose mascara (Star) that I've been struggling to remove with Bioderma but this just melts it away. It doesn't dry my skin out at all, but leaves it feeling soft and smooth, and rinses away without leaving any kind of oily residue behind. You could remove this with a muslin cloth or flannel if you wanted but I just splash my face and that removes it all. I love this product and would definitely pay £10 to repurchase it. Although as I'm sure you're all aware now you rarely have to pay full price for TBS products as they pretty much constantly have amazing offers such as 40% off or buy two products get two free. If you're still unsure about jumping on the bandwagon with this product I'd say hop right on there! 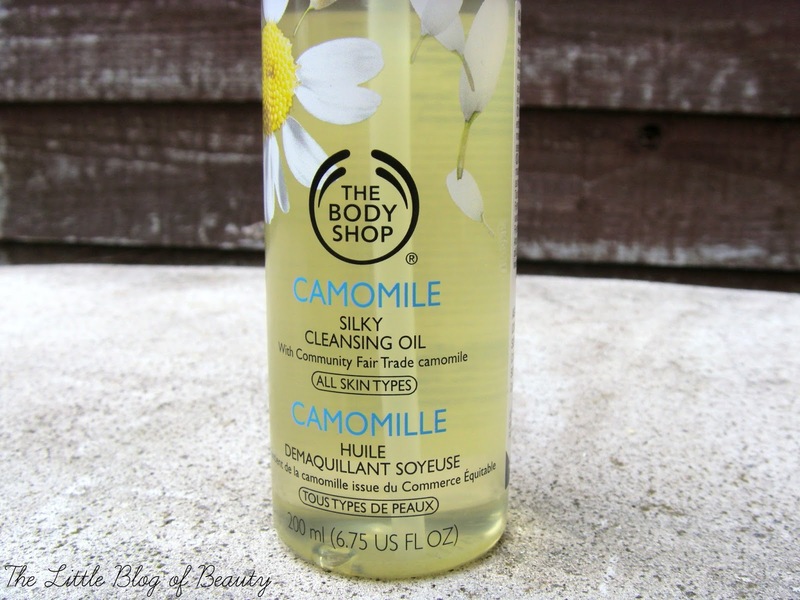 Have you tried The Body Shop's Camomile Silky cleansing oil? I really love this stuff! I like using an oil as a double cleanse, but this one has knocked the Superfacialist by Una Brennan one of my top spot, I've used it pretty much every day the past month or so. 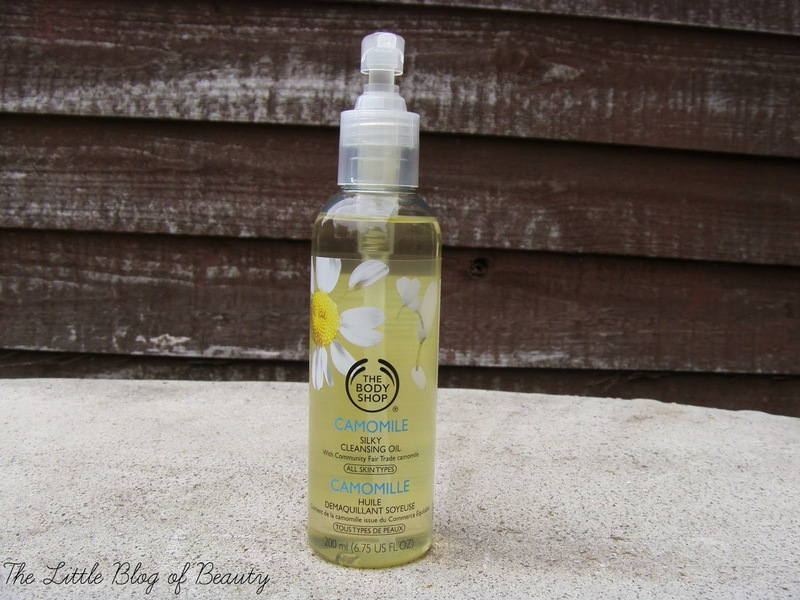 I have been looking for a decent cleansing oil for ages, and I think you have swayed me! Great review!